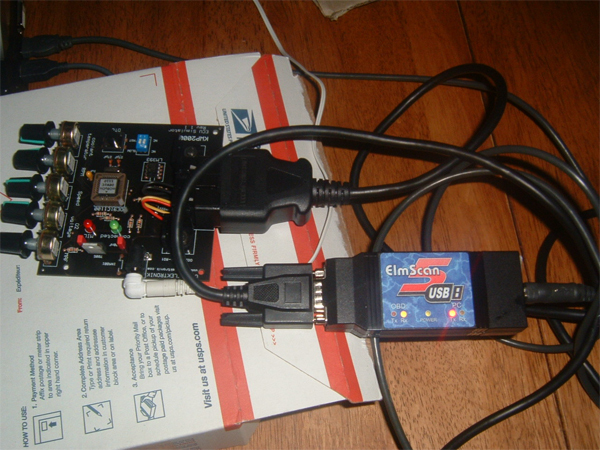 Today I received my ECU EOBD simulator from Turkey. It only took a day to get here! – very fast delivery. It didn’t come with a transformer to plug it in so I looked up the data sheet for the power specifications. It requires a 12VDC supply with 500mA current. I purchased one in my local electrical store and this done the trick grand. The device works great. It has 5 variable sensor values, RPM, MPH, Coolant Temp, o2 Sensor Voltage and MAF. Other PIDs are also on board with fixed values. 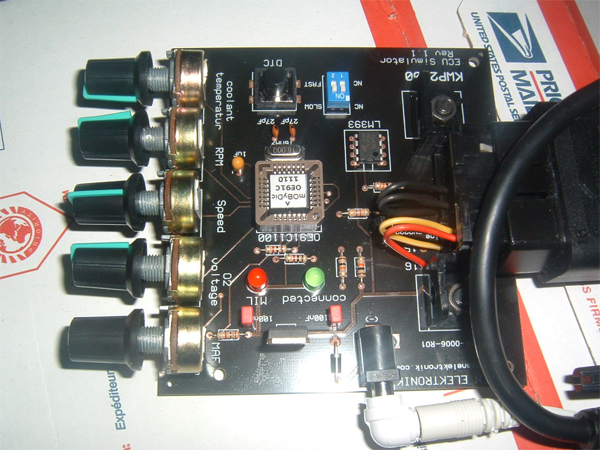 It includes a DTC switch that allows you to turn on the MIL along with logging a few DTCs. It even includes freeze frame data and a VIN. Resetting the MIL and erasing the DTCs works perfectly by sending down a mode 4 request. This should make life a lot easier now as I won’t have to be in the car much. But when I get into a proper testing phase, I’ll do weekly tests on my car and maybe another OBD II standard car to ensure that it works on them. The device is one version of the OBD II protocols, KWP2000 (Keyword Protocol). It is in a lot of European Cars including my MG. Ideally I should probably have chosen a board that had a different protocol. The ELM327 can handle all.